Today I’m testing the “blogging waters” and hopefully I am able to provide some interesting content regarding my favorite subject – dogs! Four days ago we adopted Boomer a gorgeous mini aussie with a corky personality that makes me smile and laugh out loud every day! 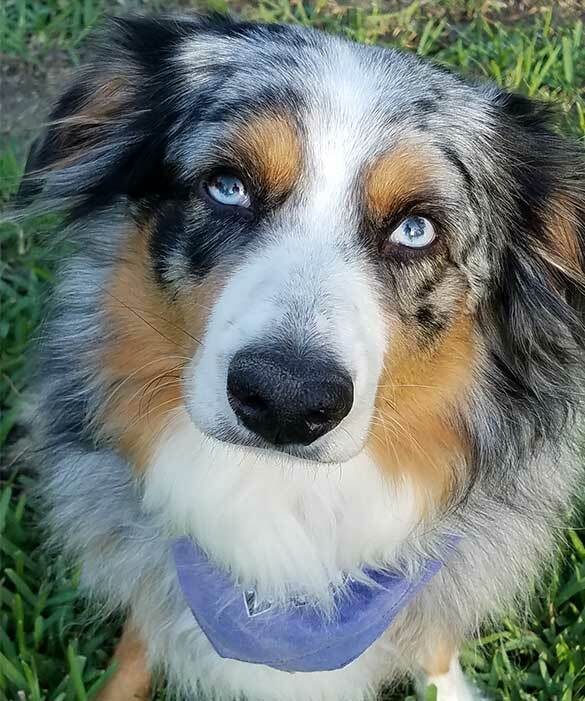 After watching Boomer put his legs into 5th gear, chasing our 3 year old aussie mix, Lucy, we have decided he never had been allowed to run at full speed! Boomer and Lucy are already BFF’s and have turned our home into a lively playground in the woods! Our 12 year old border collie, Cootie, has even shown some extra life and joined in the furry festivities. Stay tuned!